This is a great year for bird-watching at our home in the country. Just this week my husband has reported catbirds, phoebes, a tufted titmouse, cedar wax wings, a Baltimore oriole, and indigo buntings in addition to our usual sparrows, robins, jays, cardinals, grackles,goldfinches, and wrens. When we moved here in 1999, besides the 2 acres of native prairie we planted, we had large stretches of grassy lawn, and another expanse of rougher open ground that used to be the barnyard. Now, much of the formerly open ground has transformed (without our guidance – or permission) into a forest of silver maples, walnuts, mulberry and elderberry bushes. The silver maples seed themselves through the wind and walnuts are planted by squirrels. The mulberries and elderberries are planted by the birds. 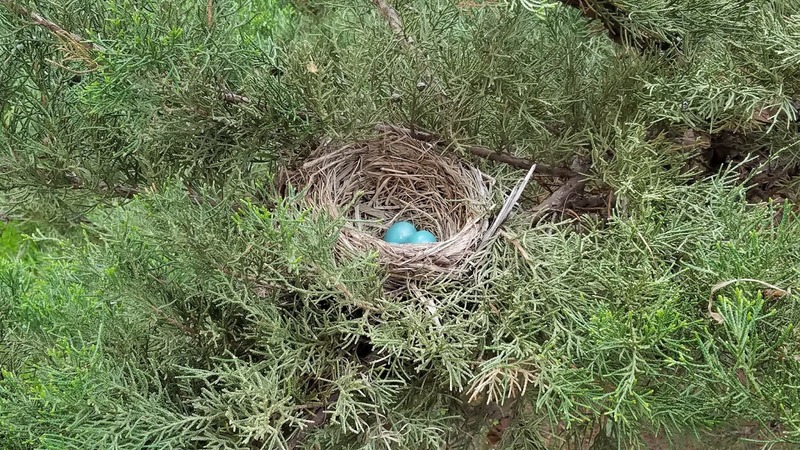 Those birds are not careful where they “plant” the bushes - in the hosta garden, in the vegetable garden, in container gardens, in the perennial border, in the ditches… you get the idea: anywhere. The mustard plant that Jesus describes in his parable multiplies quickly and intrusively like the bushes and trees in our yard. 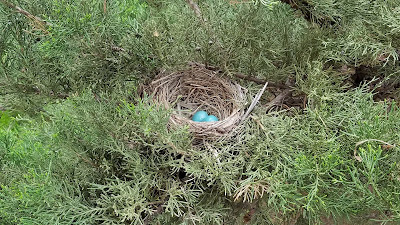 And like our “forest”, the birds of the air make their nests in it… Which is nice for birds...and bird watching. I can imagine Jesus telling this parable to a bunch of farmers today. He might use the mulberry or elderberry, or maybe velvet-leaf, Canadian thistle, or water hemlock. The mustard plant produces thousands of seeds which are carried away (Birds? Wind? I don’t think I can blame squirrels) and grow without concern for whatever use the landowner might have planned. Besides invasive, mustard plants become big and ugly. But birds? They think it’s a great home. So, Jesus says, this is what we can compare with the kingdom of God… A difficult to control weed. Hmmm. God’s kingdom? Parables are comparisons, meant to cast two things alongside one another to provide analogy, contrast, or reflection -- usually a reflection similar to the distortions that appear in a fun-house mirror. Jesus’ parables, whether they are brief aphorisms or short narratives, have a way of reordering conventional assumptions and values. They don’t explain how one is supposed to recognize the reign of God, but they make it clear that we will need to adopt or receive new ways of perceiving. A new way of perceiving… So, what do you see? God’s kingdom… Mustard plant? Invasive. What will be crowded out? How does that threaten our well-ordered lives? An ugly weed and not a majestic red wood. What do we value? And what about our self-important plans? A home where birds of all sizes, shapes, and colors feel safe. Who are the birds in our community and world looking for safety? With what can we compared the kingdom of God?